I am the middle sibling of three daughters born in 1956 in Jersey City, NJ. My childhood was difficult; my mother was overwhelmed, and I felt unwanted and unloved. 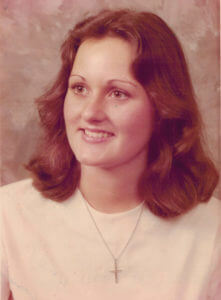 Through my teenage years, I endured taunts about my weight and appearance from my peers. As a result, I suffered from a serious lack of self-esteem. Yet, I persevered and began classes at the Fashion Institute of Technology to pursue a career in fashion design. Excitement soon turned to humiliation when an instructor was brutally blunt in criticizing an art project, dealing another serious blow to my already fragile self-esteem. I left school and fumbled around various jobs in the Garment Center. For another twenty years, I didn’t return to art and design. During this time, I began a downward spiral that began with hard partying in NYC and led to a series of three “driving under the influence” convictions over the course of seven years, culminating in the loss of my driver’s license for 11 years. I was at the lowest point yet and entered rehab. I exited rehab with a solid commitment to sobriety and getting my life back on track. 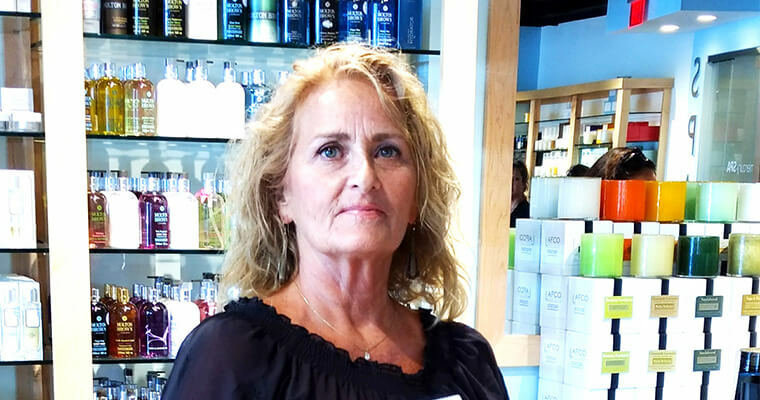 At age 36, I started a program at a Cosmetology school. In nine months I was fully licensed, started a job at a local salon and began to get my life together. At this point, I reconnected with an old boyfriend and within two years we were married. For a while, I had it all. My husband was a successful attorney. We were financially secure enough for me to quit my job and pursue my art. We had a lovely home in a beautiful and desirable NJ shore community. Over time, tensions from familial interference began to intrude on our life together. I was at the point where I thought about divorce. By 2001, I began drinking heavily again and, by 2006, had entered rehab several times. It wasn’t until my stay at The Watershed in Boca Raton, FL that my life finally turned around. 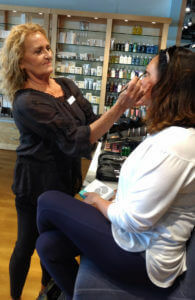 Doing what I love to do, helping women feel beautiful inside and out. My time at Watershed was transformational for me, I believe I found myself there. I was fortunate to have a counselor who helped me to truly understand my relationship with my husband. She validated me. I began to establish a sense of self and what I could be. Another miracle worker there was the research doctor. He prescribed a medication that has made it possible for me to remain sober for 11 years. When I left rehab, I was exuberant but cautious. I was still in a dysfunctional marriage and my counselor’s parting words to me were that if the situation with my husband didn’t get better I would have to gather the strength to leave him or I would likely relapse. Those were sage words, and things did get worse. My husband continued to be emotionally and physically unavailable. We started to receive IRS notices which, when I questioned him about them, he repeatedly told me he had taken care of it and not to worry. One day, as I sat alone in my living room trying to put this all into perspective I was overcome with an ominous feeling that something bad was to happen. Once again, I approached my husband and asked him if we were having financial difficulties and once again he rebuffed me. I knew the time had come to file for divorce. As soon as he received the divorce papers, he cut me off financially, stopped paying the credit card bills, the mortgage, and he withheld cash. He also cancelled my insurance coverage, his intent being that without the means to continue my medication, I wouldn’t be able to remain sober. In the middle of all this upheaval, I developed a serious heart ailment and had to undergo open heart surgery. While I was in the hospital, there was a divorce court hearing and the judge put a stay on my alimony payments. Out of work, I was in dire straits financially. There was little to eat, and the utilities were being shut off. I also faced the real possibility of losing my home to foreclosure. The bottom fell out when I was contacted by the IRS and I finally understood the meaning of all the notices. My husband was eventually convicted of financial crimes and was sent to prison. Soon after, I answered a knock on the door and was handed foreclosure papers on my home. My life was in my own hands now, and I summoned the courage to rely on myself. I had learned from the last few years that composure and inner peace would be the best path. 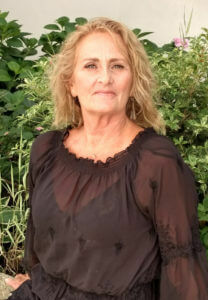 Three months after heart surgery, at the age of 53, I re-entered the job market. I worked almost non-stop for two years. Utilizing my cosmetology license, I was hired at Nordstrom in the cosmetics department as a salesperson/make-up artist. It wasn’t exactly what I wanted to be doing, but it was a job. It helped me get back on my feet financially. Eventually, a friend helped me to land a job at Laura Mercier as a makeup artist. From that point on, things began to get better: I continued to book many freelance jobs, I was back on steady financial ground and was able to keep my home. My life was quite different from the happier days of my marriage, but I was grateful that I was brave enough to have left, and relieved to be away from the dysfunctional controlling relationship that I had been in. I knew I had made the right decision. I love this photo because it truly shows who I am. 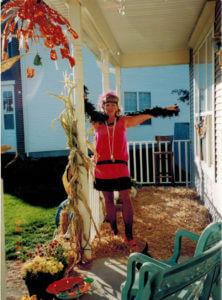 Happy at Halloween, dressed up as a Flapper, always wanting to dance! I was in my mid 40’s. Over the years, I never lost my love for design and fashion. In the early years of my marriage, I took art courses and became interested in silk painting. I began to make beautiful, hand painted sarongs and, while I gifted many, I still had quite a few stored away. When I needed to start making money, I sold sarongs and hand painted tee-shirts via an Etsy based business called Sonseas. I’ve had some modest success, but that’s not my main focus right now, I simply get tremendous happiness from the creative process. As time goes on, and I have more time to devote to this endeavor, I’d like to see this business grow. I still very much love my work as a makeup artist and will continue to do that for quite some time. Every time I make up a client, I have the ability to exercise my artistic side. There is joy in helping someone feel beautiful. Now that my financial situation is stable, I can enjoy my life and feel at peace. Often, I think about the person I used to be because of childhood dysfunction, non-existent self-esteem, a difficult marriage and alcoholism. I also think about the person I’ve become. Having worked hard, today, I’m a self-supporting, sober, grateful woman. Prayer helped me through many of my ordeals. I prayed I could become a better person and I believe I’ve gotten there. Along my journey, never, did I think I’d be the woman I am today. Dependent on others to raise me up,I didn’t think much of myself. I want to share my story to tell other women that are in difficult situations that they have the ability to help themselves. Stop listening to the negative voices in your head telling you that you’re not good enough. I felt that way for a very long time, but when I was pushed to the limit I had to be brave and push myself. My life restarted at the age of 53. It wasn’t easy, I had many scary moments, but I did it and so can others. Enter your email to receive the latest stories from Grit and Soul. Everyone has a Story — I wrote mine at 60. Twenty-Five Years to an Overnight Success! NEW STORIES DELIVERED RIGHT TO YOUR MAILBOX. Get new inspiring stories delivered to your mailbox biweekly! © 2019 Grit and Soul. All Rights Reserved.